September 14, 2015 – Fort Valley State University recently honored the victims lost during one of the worst attacks on American soil. 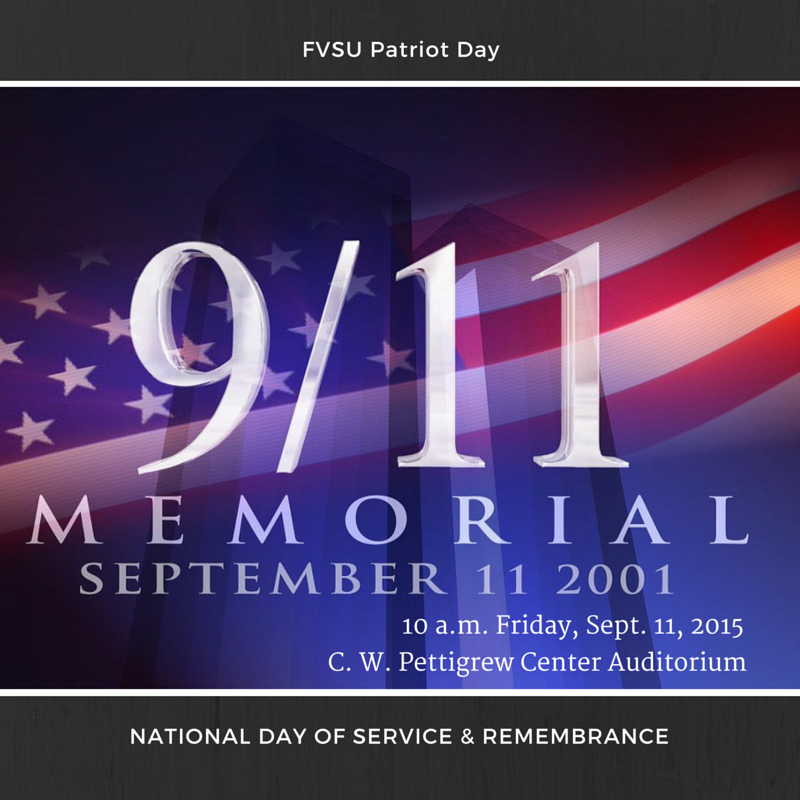 The university held a FVSU Patriot Day: National Day of Service and Remembrance on Sept. 11 in the C.W. Pettigrew Center. First responders from FVSU’s campus and the local community came out to honor the memories of victims. Cadet Larry Chapman delivered the invocation, saying to remember the victims that lost their lives on Sept. 11. FVSU Cadet Shikeshia Thornton spoke about the history of the attacks, telling the audience that 3,000 men, women and children lost their lives that day, and 6,000 service members have lost their lives in Iraq, Iran and Afghanistan in the wars that followed. Morgan said that the public has to uphold the first responders who go into dangerous situations that the public runs from. He told the audience a terrorist attack can happen at any time, and that individuals should not take their freedoms for granted. City of Fort Valley Police Chief Lawrence Spurgeon said 9/11 was a wakeup call for America. He said he nation should take its security seriously. Following a moment of silence for the victims who died in the Twin Towers, the crashed planes and the Pentagon, there was a memorial walk held inside of the Pettigrew Center on behalf of the victims led by Fort Valley Mayor Barbara Williams. Dr. Jessica Bailey, interim president of FVSU, provided closing remarks for the service, saying she could remember when the second plane hit the World Trade center towers that the attack was no accident, and that the entire world was about to change. For more information, contact (478) 825-6319.